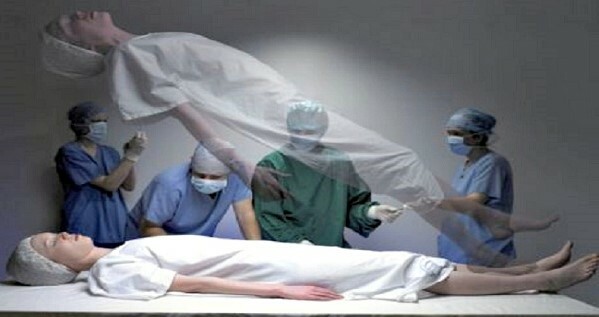 A team of psychologists and medical doctors associated with the Technische Universität of Berlin, have announced this morning that they had proven by clinical experimentation, the existence of some form of life after death. This astonishing announcement is based on the conclusions of a study using a new type of medically supervised near-death experiences, that allow patients to be clinically dead for almost 20 minutes before being brought back to life. This controversial process that was repeated on 944 volunteers over that last four years, necessitates a complex mixture of drugs including epinephrine and dimethyltryptamine, destined to allow the body to survive the state of clinical death and the reanimation process without damage. The body of the subject was then put into a temporary comatic state induced by a mixture of other drugs which had to be filtered by ozone from his blood during the reanimation process 18 minutes later. The extremely long duration of the experience was only recently made possible by the development of a new cardiopulmonary recitation (CPR) machine called the AutoPulse. This type of equipment has already been used over the last few years, to reanimate people who had been dead for somewhere between 40 minutes to an hour. The team of scientists led by Dr Berthold Ackermann, has monitored the operations and have compiled the testimonies of the subjects. Although there are some slight variations from one individual to another, all of the subjects have some memories of their period of clinical death. and a vast majority of them described some very similar sensations. The scientists say that they are well aware the many of their conclusions could shock a lot of people, like the fact that the religious beliefs of the various subjects seems to have held no incidence at all, on the sensations and experiences that they described at the end of the experiment. Indeed, the volunteers counted in their ranks some members are a variety of Christian churches, Muslims, Jews, Hindus and atheists.